Integrity is at the core of everything we do; it’s a philosophy that we believe delivers the best results. Aleicia joined Terra Caribbean in 2017 as a Sales and Real Estate Agent after having just 9 months experience in the field. Aleicia’s diverse background in Banking; Education and the Airline Industry has equipped her with the tools needed to become a dynamic force in the Real Estate Industry. Aleicia’s personal experience with the purchase of her home combined with her appreciation for architecture and design has led her to the industry. Her passion for superior customer service ensures that she is attentive to the individual needs of her customers. Alicia joined the team in early 2018 as a Sales and Rental Agent, with a wealth of knowledge in Marketing and Events Management. Her experience and exposure to corporate clients coupled with her love for interior design and décor led her to the career of Real Estate. 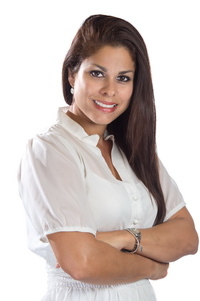 She brings to the team honesty, integrity and a dedication to her clients beyond her purview as just an agent. 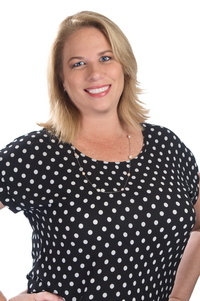 Alicia lives by the credo of establishing lifelong relationships through delivering a professional and exclusive service to each of her clients. 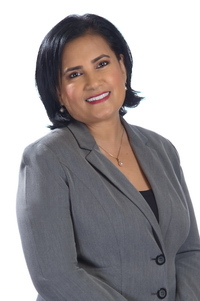 Andrea joined the Terra Caribbean Trinidad team in early 2018 with over 20 years of Management experience having worked in London, Ft Lauderdale and Port of Spain. Over the years, she built an appreciation for Customer Service and Sales. In 2005, Andrea completed a certification in Interior Design and pursued this passion by successfully completing small residential and commercial remodels offering space planning, furniture design, lighting and colour consultation. Andrea decided to meld her love for Design with her business experience and joined the Real Estate Industry to serve her Clients with the utmost professionalism and creativity. 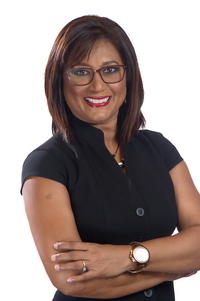 Arlene came to the Terra Caribbean Trinidad team in early 2014 as a Sales and Rental Agent but has been involved in the Real Estate industry since 2001. 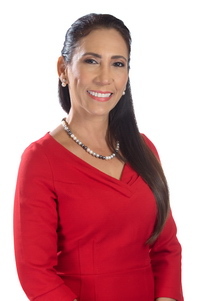 Before her introduction into Real Estate, Arlene was formally a banker and has twenty years’ experience in the banking industry at both the administrative and credit levels. 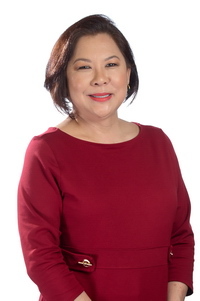 Though she works in all segments of the market, Arlene has built a strong presence in the residential market, particularly in the East/West corridor. Brenda joined Terra Caribbean Trinidad in 2000, in the company’s infancy, as a Sales and Rental Agent. After working in the banking sector for a number of years, Brenda made the leap to sales and has built a reputation as a stalwart and a source of information, specifically in the residential market. Coming from a corporate background, Brenda holds at her core, ethics, integrity and attention to detail. 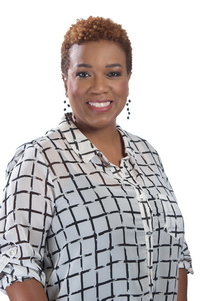 Delicia started her career in Real Estate in 1989 and joined the Terra Caribbean Trinidad team in 2000, in the company’s infancy, as a Sales and Rental Agent. With over twenty-five years in Real Estate, she has established a wide repertoire of both properties and clients. Delicia works in all segments of the market, particularly in the East/West corridor and due to her experience, she brings a relaxed and easygoing approach to her clients while she handles the details. 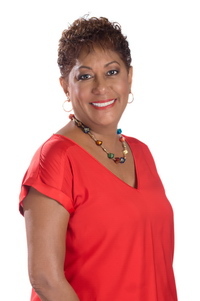 Gayle joined Terra Caribbean Trinidad in 2007 as a Sales and Rental Agent, with a rich and diverse background both in education and job experience. Her knowledge and experience overseas have transformed her into a productive and meticulous Real Estate Agent. 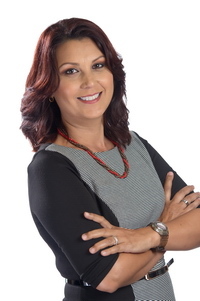 Gayle excels in the Commercial property realm, particularly in the Central and South regions of Trinidad. Her hard work and dedication have culminated with her being awarded Agent of the Year 2015 for highest Sales Volume. Gemma joined Terra Caribbean in 2007 as a Sales and Rental Agent. Before her Real Estate career, Gemma worked in the banking sector managing a commercial Small Business portfolio for over twenty-five years and holds an Associate degree in Banking from the Institute of Canadian Bankers. It is through her experience in banking, Gemma learned the importance of good service and obtained an in-depth knowledge of commercial and consumer mortgages. 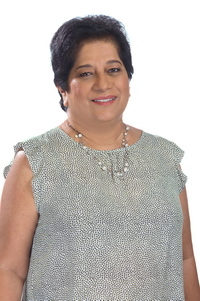 Jo-Ann joined Terra Caribbean Trinidad in 2014 as a Sales and Real Estate Agent with a wealth of knowledge in both the Banking and Real Estate/Construction sectors. 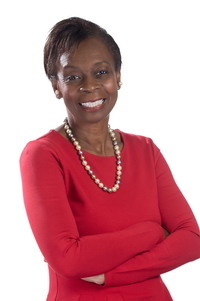 With over twenty years’ extensive experience, in sales and marketing, business development, and investment banking, including loans/mortgages, Jo-Ann brings comprehensive and complete service and advice to her clients and her real estate career. She shows initiative and competence in all tasks assumed and has an astute appreciation for excellent quality service delivery. Maritza joined the Terra Caribbean Trinidad team in mid-2017 with an entrepreneurial spirit and fervent energy. Her desire for a flexible professional life led her to the arena of Real Estate. Maritza is a health and fitness enthusiast and enjoys the natural life. She takes the discipline of this lifestyle throughout her family life and work life; managing two kids, her own small business and a budding real estate career. Monique joined the team in 2015 with boundless experience in Client Relationship Management. Although an agronomist by profession, Monique has worked in the areas of nutritional and pharmaceutical sales since 1998. Her focus on customers and ensuring her clients are unconditionally satisfied throughout transactions, has awarded her many accolades. 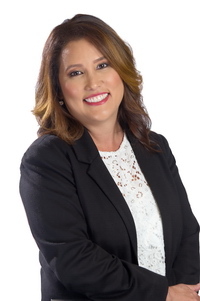 Monique’s appreciation for architecture, landscaping and interior design has led her to the real estate industry, where she continues to excel as a Sales and Rental Agent. 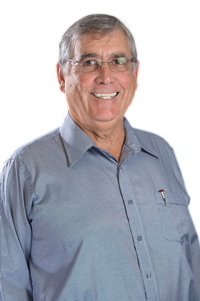 Richard joined Terra Caribbean in 2005 as a Sales and Rental Agent, operating mostly in the commercial segment. Richard has amassed a reputable clientele throughout his career, due in part to his experience in several industries. Before becoming an Agent, he worked in his family’s wholesale food and distribution business for 28 years, after which he was appointed CEO at the Arima Race Club during a pivotal period; the industry centralization to Santa Rosa Park. Today, Richard is known mostly for his direct dealings and no nonsense attitude with large clients in the commercial segment. Additionally, he won the Agent of the Year award for more than two years, for highest Sales Volume. Sasha joined the Terra Caribbean Trinidad team in mid-2017 as a Sales and Rental Agent, with a wealth of experience in the residential market. Before her foray into the property business, Sasha worked in banking for a number years, which was instrumental in her familiarization and thirst of structure and teamwork. Subsequently, Sasha’s introduction into Property and Real Estate came through an international consultant company in the construction industry, where she held the position of Office Manager and Expatriate Services. There, her interest in Real Estate blossomed into a career and has embraced her additional role as member of the Board at AREA (Association of Real Estate Agents). Shawn joined the Terra Caribbean Trinidad team in February, 2017 and brings an abundance of information from the Banking sector. As a Mortgage Agent with a leading financial institution, Shawn has acquired a solid reputation in customer service and effective results and ensures that each client enjoys unparalleled service quality. 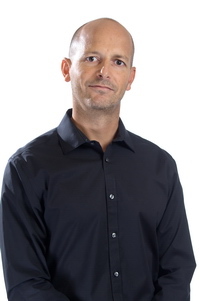 With over ten years of experience in sales, business development, investment and mortgage financing, Shawn is confident and competent in giving sound investment advice. Adrian joined the Terra Caribbean Trinidad team in early 2011 as a Sales and Rental Agent. 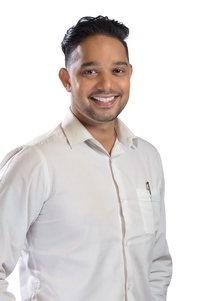 His substantial experience in property development and later, property management led him to the UWI-Roytec Principles of Real Estate Sales Course, which he completed in 2000. Since his arrival at Terra Caribbean, Adrian has worked alongside agents internally in all segments of the market and brings a qualified perspective and approach to his transactions. 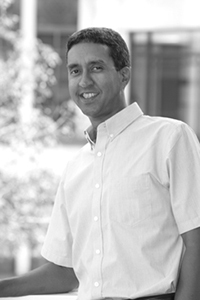 His background in accounting and finance assists when providing sound investment advice to his clients.